I have finished a form, and repeatedy pressed the Sbmissions button, after saving the completed form. Nothing happens, and the purpose of "Submission," remains a mystery. 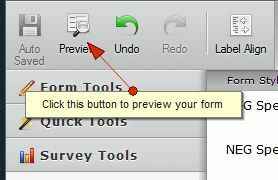 You need to click on the Preview button at the top left of the Form Builder to view your form. 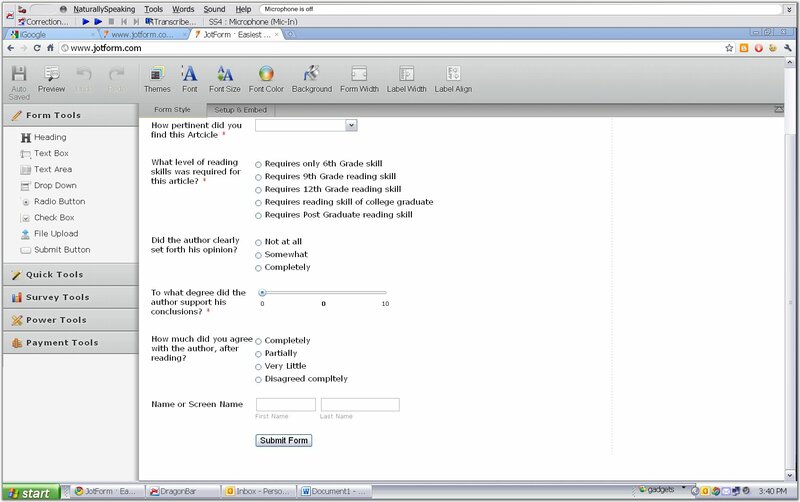 Forms do not work inside the Form Builder, it can only be edited.